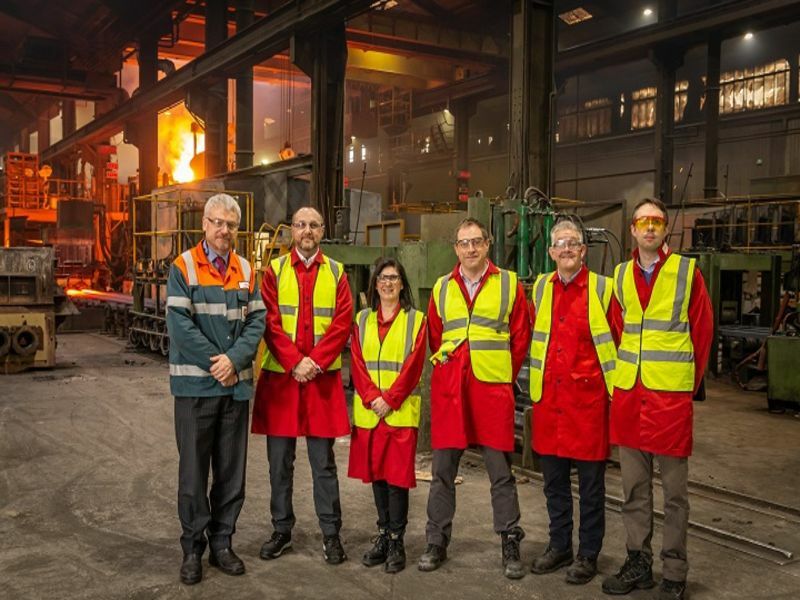 Representatives from National Grid visited United Cast Bar UK (UCB), the leading foundry and a successful manufacturer of continuously cast-iron bar. UCB uses GridBeyond’s energy intelligence platform to support grid balancing, increase profitability and boost sustainability. The purpose of the meeting at the production plant in Chesterfield was for National Grid to observe manufacturing processes and witness first-hand how smart sensors and intelligent energy technology provides UCB full visibility and control of their energy usage whilst enabling participation in DSR programmes. The latter ultimately supports the system operator’s mission to maintain a smart, resilient, decentralised and flexible energy network. UCB’s most power intensive assets include melt furnaces, which constitute the core of the foundry business. These deliver approx. 1.9 Megawatts of flexibility to the grid, without any impact on operations. UCB’s energy flexibility and operational integrity is further enhanced by GridBeyond’s hybrid battery & demand network, a unique and world-first solution which unlocks additional energy flexibility from the inflexible assets. UCB participate in several DSR programmes, including the fast responding Dynamic Firm Frequency Response (DFFR), and uses an on-site 500kW battery to lower the energy consumption during peak demand. Andrew Rice, Senior Account Manager at National Grid commented: “It was helpful to meet with an industrial provider of frequency services as part the ongoing work of reviewing and updating the Firm Frequency Response testing guidance. Michael Phelan, Chief Executive at GridBeyond commented: “As National Grid is reviewing and updating DSR products, GridBeyond is glad to collaborate with clients to contribute to the discussion. It is imperative that the suite of new programmes not only fit their purpose of balancing the grid but also address the needs of the end users and technology providers, and remove any unnecessary barriers to participation. 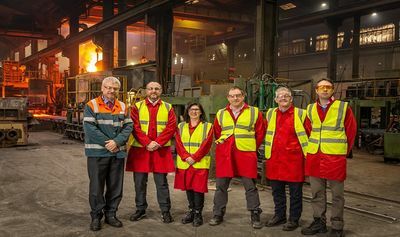 James Brand, Managing Director (Foundries) at United Cast Bar commented: “National Grid’s visit to our Chesterfield site provided the opportunity to discuss the details of our participation in grid balancing, and the technology required. National Grid’s visit to UCB is part of an ongoing dialogue between GridBeyond and its partners with system operators, regulatory bodies and interest groups involved in the development and shaping of the UK energy system. At the end of 2018, representatives from the Association of Decentralised Energy and the government’s Department of Business, Energy and Industrial Strategy visited another GridBeyond client, Eurac, to discuss the reforms and opportunities of the Capacity Market.